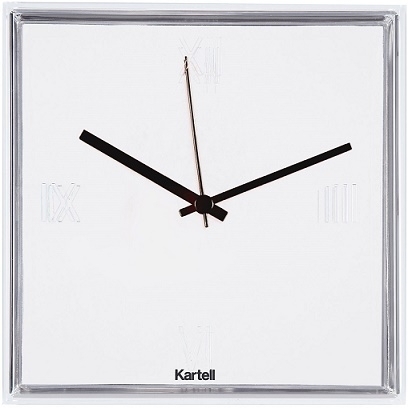 Tic&Tac is a clock designed by Philippe Starck with Eugeni Quitllet for Kartell. 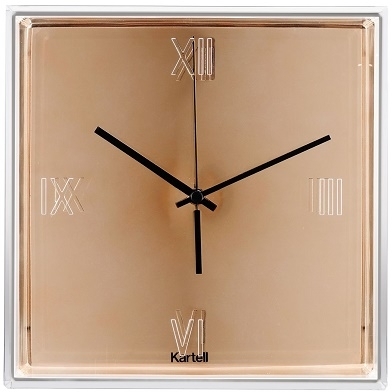 Kartell is counting the hours and presents its first wall clock. 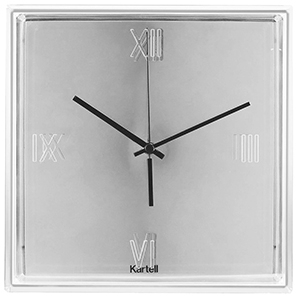 A transparent square "box" measuring 30x30 cm with Roman numerals engraved on the surface encompassing the flat clock face, available in three versions. 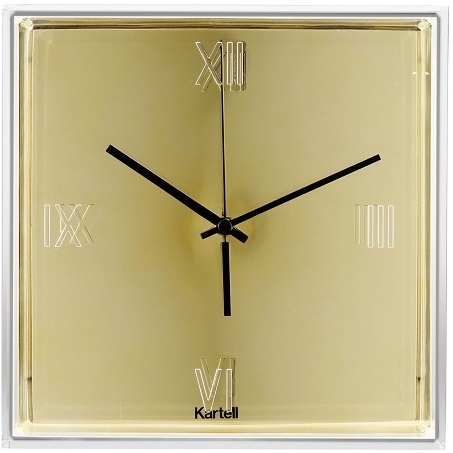 Tic&Tac is a clock designed by Philippe Starck with Eugeni Quitllet for Kartell. 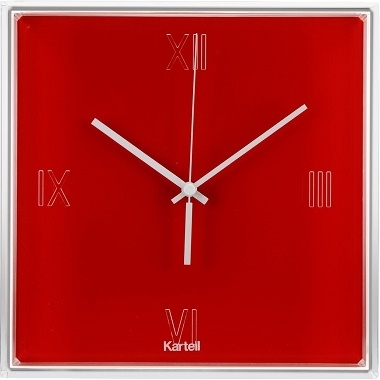 Kartell is counting the hours and presents its first wall clock. 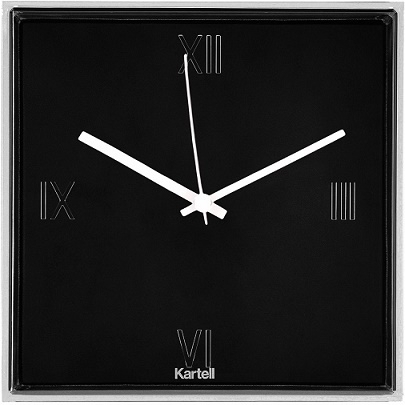 A transparent square "box" measuring 30x30 cm with Roman numerals engraved on the surface encompassing the flat clock face, available in three versions (white, black or chrome-plated) where the slim pair of colored hands stand out in a chromatic synthesis transforming time into an aesthetic experience. Tic&Tac is a clock with impressive thicknesses creating a play of lights and reflections. The inimitable hand of Starck is emphasised by the the orange hands, a color fetish of the designer.